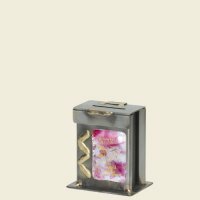 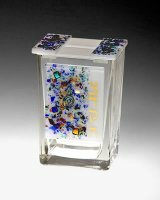 Pink Mosaic Dichroic Glass on Steel box with Brass and Copper accents, 4.5" high, 2.25" wide, 3.25" long. 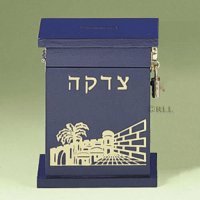 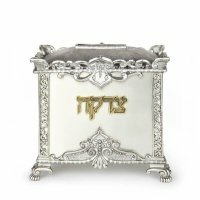 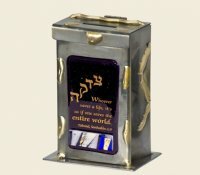 Hand made metal Tzedakah Box by Gary Rosenthal. 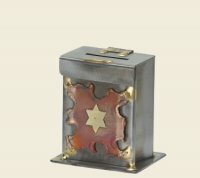 Copper and Brass Star on the front. 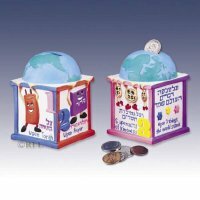 Size: 3.5" x 2.25" with 3.5" h.
This is such a cute Tzedakah box. 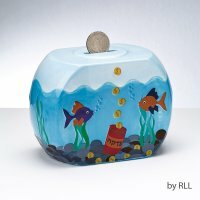 Looks like a fish bowl. 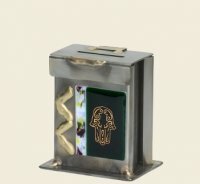 Colorfull and fun. 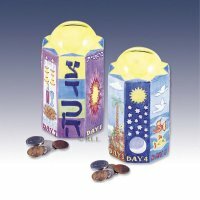 Made of ceramic and hand painted. 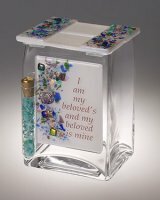 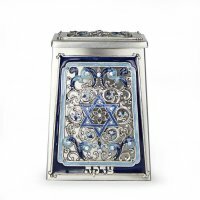 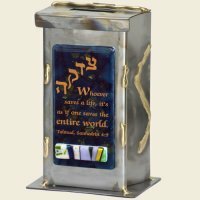 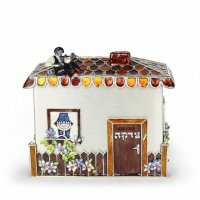 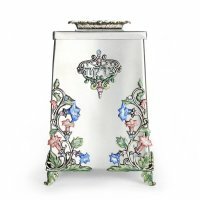 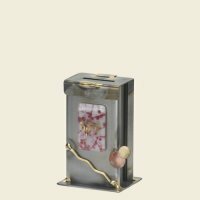 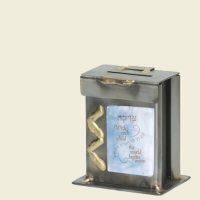 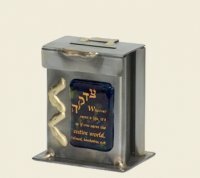 Size: 5" w. - 4" h.
Hand made metal and glass Tzedakah Box by Gary Rosenthal. 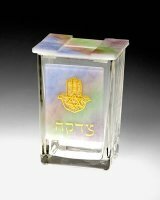 Gold Hamsa on the glass. 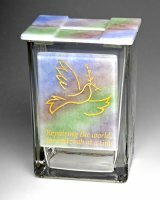 Size: 3.5" x 2.25" with 3.5" h.